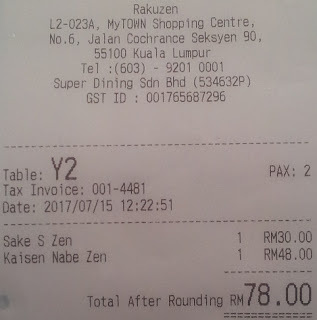 After going to Rakuzen at Sunway Velocity and the Starling Mall, I went to the one at MyTown and ordered my favourite salmon set at MYR30 nett. Just as tasty as those served in the other branches. 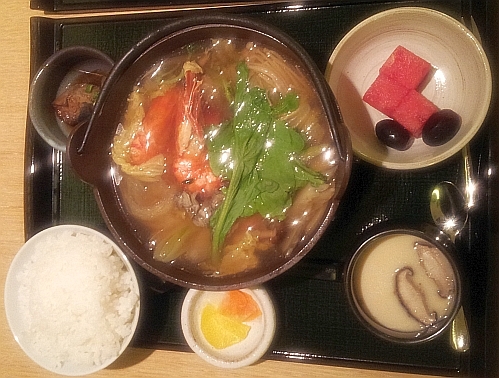 Kaisen Nabe Zen Set at MYR48 nett. My spouse and I shared a bowl of rice and kept the other bowl of rice for dinner because two bowls of rice is just too much for us for lunch. 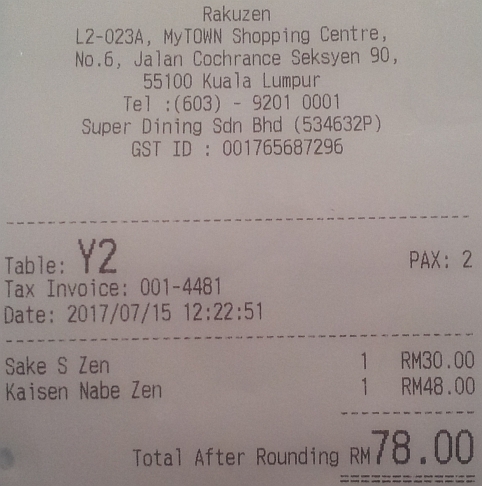 Total price is MYR78 nett. 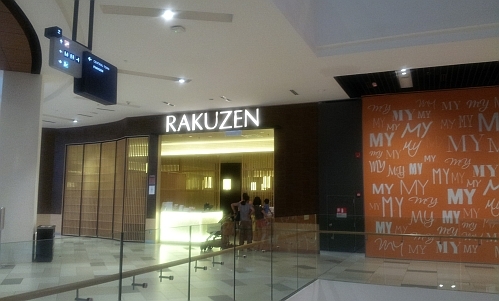 Rakuzen at MyTown. We will visit this branch more often because Ikea is just next to MyTown. That slab of salmon looks big! RM30 for the whole set is very reasonable. that is why I like to eat here. thank you. happy weekend to you too! I must visit My own soon. and also ikea that is next to it. You guys are small eaters, sharing a small bowl of rice only. cos want to control carb intake. Both sets look good. Have a great weekend! thanks! may you have a great weekend too! 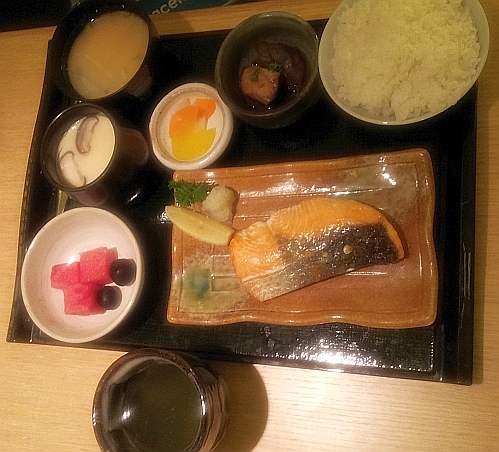 Healthy meals too... grilled and soup-ed. guess you can say so.